Clint And Andrew Barton. . Wallpaper and background images in the Jeremy Renner club. 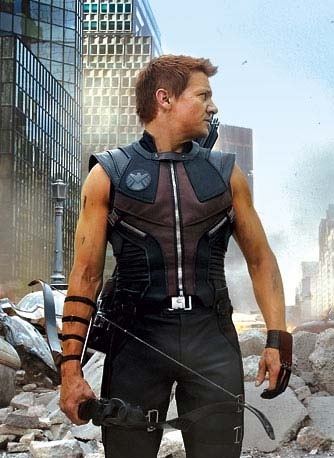 This Jeremy Renner photo might contain 护胸, 胸部保护, 防弹背心, 潜水服, 潜水礼服, and 潜水服潜水衣服. Report: Jeremy Renner Going To Be A Dad!